Our Authors Have Had an Incredible Start to 2019! Authors of Voces Sin Fronteras sharing their book with DCPS students through the PEN/Faulkner Writers-in-Schools program. SMP authors have given talks to over 750 readers so far this school year! Received a glowing starred review from School Library Journal: "Spotlighting underrepresented voices, this work is highly recommended for all communities in their efforts to promote empathetic, inclusive discussions around immigration." Read the full review here. Were selected as the winners of the In the Margins Book Award for Non-Fiction. This national competition spotlights titles that especially engage marginalized youth, and prioritizes the opinions of these youth when selecting winners. Were honored by DC City Councilmember Kenyan McDuffie for their "commitment to using their voices to contribute to a national dialogue and to act as leaders in their community." Watch the ceremony here. Made a trip to Politics & Prose to meet some of their favorite authors featured in Black Enough: Stories of Being Young & Black In America. Authors were able to gift copies of their own book to contributors Jason Reynolds, Renee Watson, Leah Henderson, editor Ibi Zoboi, and panel moderator Elizabeth Acevedo. Authors posed for photos next to their book -- on display alongside Michelle Obama's autobiography, Becoming! Had their work highlighted in an Edutopia article about the toll of mass incarceration on young people. Co-author Kahliya said: “In our community, having an incarcerated parent is a conversation that’s rarely brought up... Kids shouldn’t be left to deal with this by themselves.” We are so proud of Kahliya for representing her work in a meaningful and impactful way. Read the full article here. Sarai Johnson, who has worked with SMP in various ways for over 3.5 years! During her time at Shout Mouse, Sarai worked with authors on eight different book projects: Voces Sin Fronteras, The Day Tajon Got Shot, Humans of Ballou, Spanky the Pup, Carla and the Jazzed-Up Scorch-Torch Funtastic Sneakers, Tyrell's Big Move, and upcoming titles, I am the Night Sky and The Ballou We Know. We are so grateful for all of Sarai's time and talents! Please join us in wishing Sarai the very best as she pursues opportunities as a full-time educator. And don't worry -- Sarai will remain a part of the Shout Mouse community, and she'll see you at the next book launch! Lana Wong, our new Community Impact and Partnerships Director! Lana has served as a Shout Mouse photo coach since our founding and is now joining the team to lead our outreach efforts. Lana has diverse work experience as a photographer, educator, television broadcaster, and creative director. 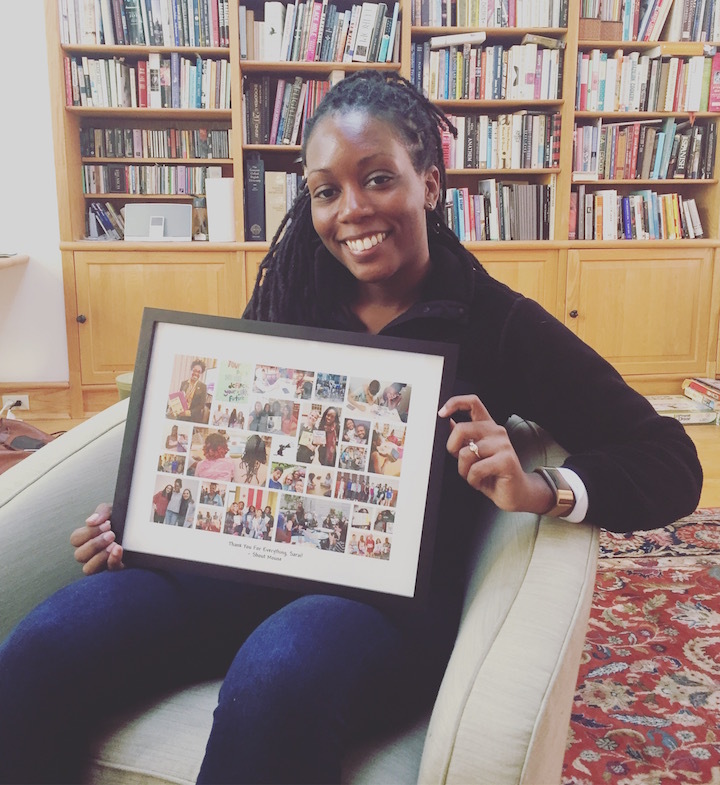 In 1997, Lana founded Shootback – a youth photography and development project in the Nairobi slums that harnessed the creative voices of young Kenyans so they could tell their own stories. Inspired by this experience and her creative collaborations with international organizations, local NGOs, foundations, youth, and artists, Lana is thrilled to be working with Shout Mouse to utilize the power of words and images for advocacy, education, and development.